Become A Ski Utah Member Now! More than 3,000,000 travelers research their Utah winter (and summer) vacations using Ski Utah each year. We offer a robust set of advertising option that allows you to introduce your travel products and services (hotel, resort, activity, tour package, rental/retail shop, restaurant, etc.) to thousands of qualified travelers. 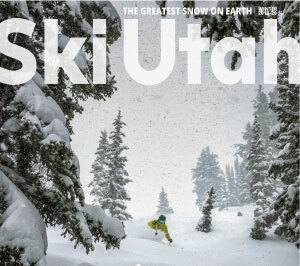 Strategic media and content efforts bring a supremely targeted audience to Ski Utah's website while they are in the planning stage of their vacations. With a proprietary trip planner, custom (native) content, and more, Ski Utah can help you reach consumers at the very moment they are researching their trip to Utah. As a hotel owner, for instance, you would benefit greatly from listing your property with Ski Utah. Consumers looking for hotels in your area could access your information, including a description of the property and a photo, and be well on their way toward booking a room! BASIC MEMBERSHIP/ADVERTISING PACKAGES START AT $649! Become A Ski Utah Member Instantly!